3. Analysis – failing to drive insights from the captured data, in order to enable data driven prediction and decision-making. 2. Effective interrogation of that data will both drive decision making and suggest new areas for the Portfolio to explore/exploit. 2. The insightfulness of its data analytics. The simple goal here is to maximise the amount of valuable, standardised data flowing into the Portfolio Office for the minimum cost to both the Portfolio Office and the wider organisation. P2 Consulting approaches this problem using a methodology called ‘the 5Cs’. 1. 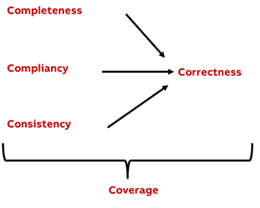 Completeness – Is the data being collected directly supporting my decision making? 2. Compliancy – Is the data being input to the data quality standards and what might those standards be? 3. Consistency – Is the data being input to the right schedule and what should that schedule look like? 4. Correctness – Is the data accurately reflecting the current position? 5. Coverage – Is the data being collected across all the relevant projects? Understanding the answer to these 5 questions is critical to defining and delivering effective data capture across your portfolio and laying the ground-work for the next stage. Optimising data capture to achieve a standardised data-set across your portfolio creates the foundation on which value can then be delivered. However real value can only be driven out through the powerful visualisations that support the change decision making of the organisation. It is critical that the Portfolio team has an effective way of doing this as a portfolio of any level of complexity will need some form of automated system or tool to help integrate, visualise and analyse the health of your portfolio in real-time. At this point we, at P2 Consulting, turn to Cubik to underpin that analysis. 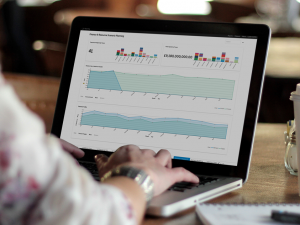 Cubik integrates disparate data sources such as your core PPM tools, risk logs, resource logs, finance systems, project plans and spreadsheets to establish a centralised view of your change delivery. Critically it drives out insights that can only be seen when integrating data sources – a task that must be done at the Portfolio Level. Three classic examples of this data integration would be: the integration of information from different projects (such as with the Portfolio on a Page), the integration of different data streams (such as combining delivery timelines and business change information to to create a business change heatmap) and by the integration of different options to conduct scenario planning on your portfolio. For instance, the Cubik Portfolio on a Page integrates real time milestone and dependency data from the projects within the portfolio to provide a real time predictive view of the portfolio delivery schedule and the health of that delivery. Using historic pattern analysis, delivery hot spots can be identified, enabling executive intervention before issues materialise. Equally valuable is combining different data streams to identify insights and areas of concern. 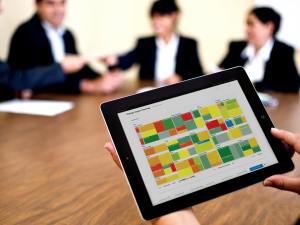 For instance the Cubik Business Change Heatmap view combines information from project’s delivery timeline and their business impact rating to create an organisation wide view of the impact of the Portfolio on the business identifying key areas and times of concern and/or significant change. And as your organisation moves along the maturity scale of the 5Cs the power of the Portfolio Offices’ analysis will only increase. This enables the typical leadership level “What-if” investment decision questions to be addressed based on data you have confidence in. 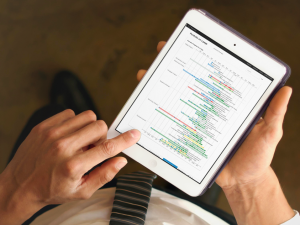 The Cubik Scenario Planning Tool allows, again in real time, for the Portfolio Office to look at the impact of different scenarios on the Portfolio’s key metrics such as time, cost, benefit and business impact allowing executives to confidently understand the implications of their decisions. The value of your office is the value of your data! We, at P2 Consulting & Cubik, know the value that can be realised from effective and efficient data capture, combined with intelligent and predictive analysis. 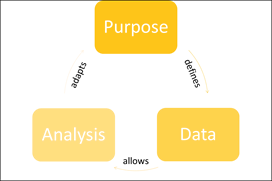 When done properly this analysis creates a virtuous cycle that drives the portfolio function into new and exciting areas of support to the wider organisation continuously increasing the value and insights it offers. If you’d like to discuss how you can improve the capture or analysis of your Portfolio Data or simple want to discuss how to drive better decision making at the Portfolio level please get in touch.